SANTA CLARA, Calif. -- Three first-half goals fired Mexico to a 4-2 win over 10-man Paraguay on Tuesday, as El Tri completed back-to-back victories in Gerardo "Tata" Martino's first two games in charge. Mexico flew out the blocks in front of 50,317 fans in Levi's Stadium with Jonathan dos Santos opening the scoring in the sixth minute. A Gustavo Gomez own goal made it 2-0 three minutes later and Javier Hernandez wrapped up the scoring in the 24th. Eduardo Berizzo on the sidelines during a match between Athletic Bilbao and Levante. 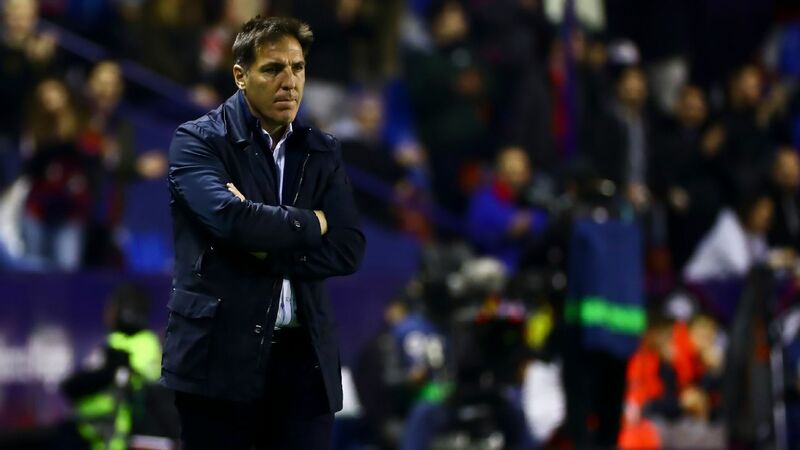 Paraguay have appointed former Celta Vigo, Sevilla and Athletic Bilbao coach Eduardo Berizzo as their new manager, the Paraguayan Football Association (APF) announced on Monday. Berizzo has replaced Juan Carlos Osorio, who resigned last week after an unhappy five months in which he led the South American nation in just one game. "Negotiations have been completed with 49-year old Argentine national Eduardo Berizzo Magnolo to be the new coach," the APF said. 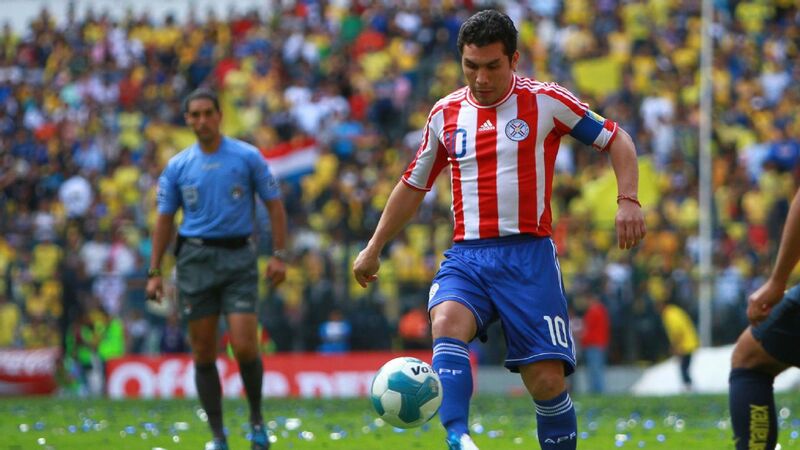 The man suspected of shooting former Paraguay national football team standout Salvador Cabanas in the head in 2010, effectively ending his career, has been sentenced to 20 years in prison in Mexico, authorities announced Sunday. But federal prosecutors said in a statement that the man identified as Jose Jorge "B," with no full last name given, was sentenced for organized crime, not attempted murder. Chile joined three neighboring South American countries in a bid to host the 2030 soccer World Cup, according to a joint statement from their governments released on Thursday. The bid, which previously included only Argentina, Paraguay and Uruguay, is up against bids from England, and another bid from Morocco, Algeria and Tunisia. The 2030 World Cup will mark the centennial of soccer's most important championship, with the first being held in Uruguay in 1930.